I’ve been asked to be a guest at one of our local knitting groups in Los Gatos, CA. 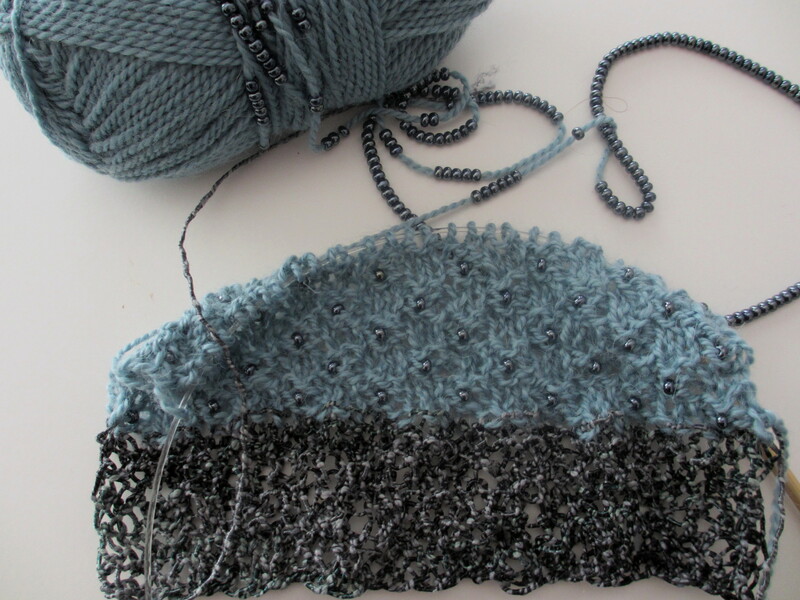 Our attention will focus on knitting with beads. While sifting through the stacks at my local library, I discovered a wonderful resource entitled, “Knit One Bead Too,” expertly written by Judith Durant. The visual instructions are well-documented and the written instructions are understandable. “The “Knitter’s Palette,” a workbook of color, explained by Kate Haxell offers an interesting section on adding color with beads, pgs. 60-61. 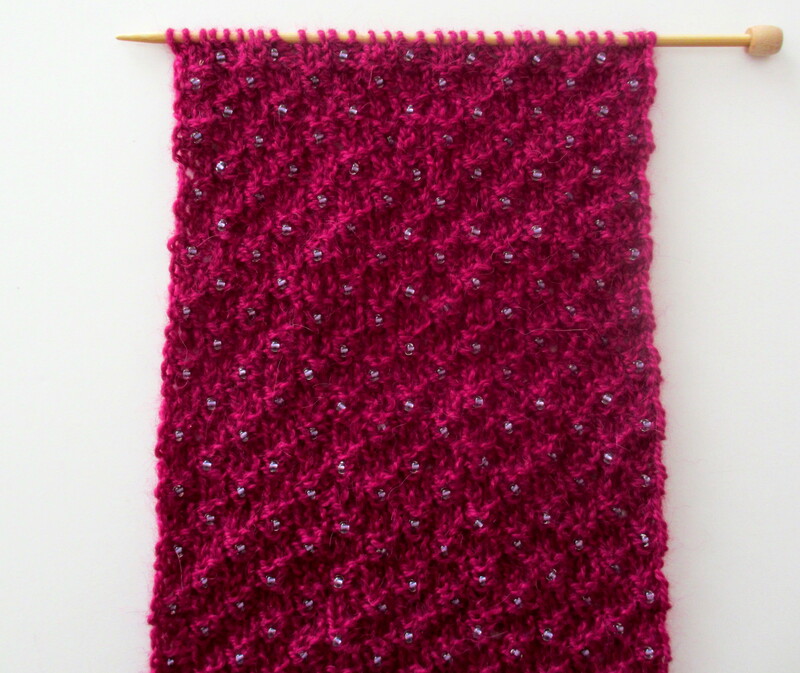 Last, but definitely not least, “Betsy Beads,” confessions of a left-brained knitter, Betsy Hershberg. A book full of inspiration which pushes the limits of knitting with beads. Here are a couple of samples I’m working on for the class on Thursday.